A loan of $2,900 helped to buy a solar energy system for a freezer that will help her to obtain better income in her business and to give better service to her clients. Iris is 23 years old. She is a young mother from a very entrepreneurial family. She has 2 children and for the last 7 years she has earned a living in agriculture and ranching. She currently has a small business selling consumer products that has succeeded with her own efforts and the help of her husband, who lives out of the country and provides monthly for its growth. In the community of Trujillo, Honduras, where Iris lives, there is no access to electric power. Therefore, she must keep the products that need refrigeration in refrigerators so that they do not spoil. This makes it very difficult for her since she has to be buying ice and gas to maintain the cold and go long distances to the closest community with energy access to acquire them. For these reasons, Iris is asking Soluz Honduras for a loan to be able to acquire a solar power system for freezing. It will allow her to have savings from buying ice and to be able to better serve her community since she will have more variety of products, like meats, chicken, cold cuts, and sodas which further generate better income for her. 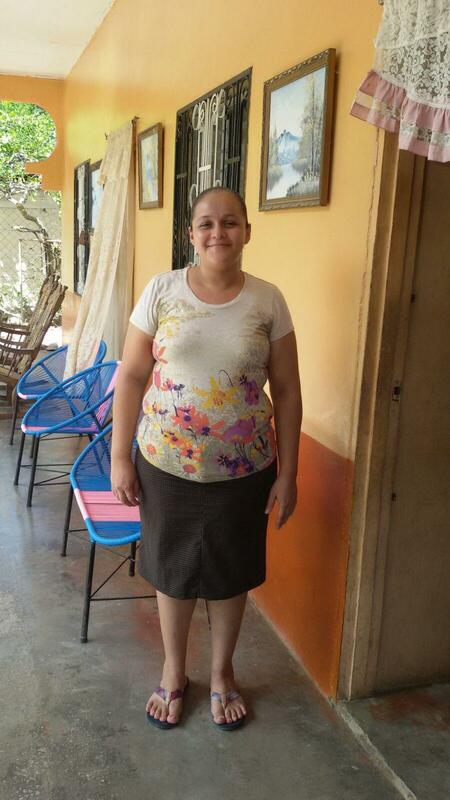 Translated from Spanish by Kiva volunteer K. Bailey Morton. View original language description. Iris de 23 años es una joven madre de familia muy emprendedora tiene dos hijos y desde hace 7 años se ha dedicado a la agricultura, ganadería y actualmente tiene un pequeño negocio de venta de productos de consumo que ha logrado con esfuerzo propio y la ayuda de su esposo quien trabaja fuera del país y le aporta mensualmente para el crecimiento del mismo. En la comunidad de Trujillo, Honduras donde vive Iris no hay acceso a energía eléctrica, por lo cual los productos que necesitan refrigeración ella debe mantenerlos en hieleras para que no se dañen, esto se le hace muy difícil ya que debe estar comprando hielo y gas para mantenerlos fríos y recorrer largas distancias a la comunidad más cercana con acceso a energía para adquirirlos. Por estas razones Iris solicita a Soluz Honduras un préstamo para poder adquirir un sistema solar para congelación que le permitirá tener un ahorro en compra de hielo y podrá servir mejor a su comunidad ya que tendrá más variedad de productos como carnes, pollo, embutidos y refrescos lo cual además le generara mejores ingresos. This loan will provide solar electric systems combined with energy efficient refrigerators as an income producing activity operated out of a home or rural store in Honduras. It will be used to provide borrowers with needed goods or services, as opposed to cash or financial credit. A solar-powered refrigerator creates opportunity for added income for a family, as well as providing benefits for a community that would otherwise have steady access to milk, cheese and other products that require refrigeration. These solar-powered highest efficiency refrigeration systems also replace gasoline or diesel generators that power old refrigerators. Soluz Honduras installs, guarantees, and maintains the system to assure that the benefits will continue for many years, and the solar panel has a 25-year warranty. By supporting this loan, you are helping Honduran families to access clean energy and reducing their negative impacts on their home environment and surrounding environment. Soluz Honduras is a social and environmental enterprise committed to increasing energy access for Hondurans using solar technology. By distributing solar products and related financing to provide affordable clean electricity, Soluz Honduras contributes to economic development while protecting the environment. Kiva supports the Soluz Honduras mission of providing solar products to rural populations. Soluz Honduras is a recognized pioneer in the field of solar rural electrification. Increasing energy access through solar products improves many aspects of living conditions including: reduced cost of energy (by eliminating the use of kerosene and dry cell batteries), improved health conditions (from the elimination of kerosene fumes), and income generation.